First of all, this is Lorelei holding the baby turtle she found week before last. We took her to the creek for the fist time this year that day....and the very first thing she found and caught it. She had a bucket and kept it in it or had it in her hand the whole time we were there. And we were there a LONG time. She almost caught another one. Of course she wanted to bring it home, but instead she turned it loose before we left. Then last week she wanted to go back...we took her the backroads to get there. And as we were coming up behind Bridgeton, up the creek from the bridge, there were two eagles in one dead tree. Before we got pulled off and stopped, one of the eagles flew down behind the tree. But I got several photos of this one. I was more thrilled than Lorelei with this. Along with her staying with us 3 or 4 days a week, our older daughter was back in Indiana for a while. And then made this table runner at the top of the photo, and that is the backing for it on the bottom. They were made with leftover fabric from the quilt top. Both were my daughters design and choice of fabrics. We both did cutting and both did sewing. You will have to click on these to get a better view. Not sure how much visiting I will get done or if I will even try to post again for a while. Lorelei is supposed to come tomorrow evening, and I know she is going to want to go to the creek again and she has also been wanting to go fishing at the strip pit. What a stunning bird the eagle is. Wonderful photos!! And I do adore that little turtle. Nice to see you have popped in for a little bit of blogging. Hi Rose, Such a cute turtle! I know Lorelei is enjoying every minute of summer fun. I love the quilt and the tablerunner. Beautiful fabrics and colors. What a fun project for you and your daughter to share. Great photo of the eagle. What a thrill to capture him on film. Wishing you a very nice week. We don't have many eagles in Northern Indiana where I live, though they have been seen and I am sure that we have had a juvenile fly over our house twice now. It is thrilling for me to see one. I love the hawks that visit too, but I ask them to kindly refrain from eating at my feeders! Have a great summer and post when you can. So glad your granddaughter left the turtle at the pond! It will be fun for her to search for another each time she visits. That sweet little Lorelei! I've never seen a turtle like that with the long snout?? Is that what it's called? It is so cute. Wish I could quilt like you and your daughter. It is beautiful. I used to love playing around a creek when I was young. The eagles are amazing!! Great picture of the Eagle.... I still have never seen one in the wild.... One Day MAYBE!! Your bald eagle pictures are so beautiful that they belong on stamps. That turtle has the strangest nose! Lorelei is growing so fast! Now to scroll down and catch up on Simon's Cat! Hello! Looks like you have been very busy. All the quilt and the runners are wonderful. Your daughter has a future as a quilt designer. Let's see - posting or spending time with a granddaughter? Granddaughter wins every time. 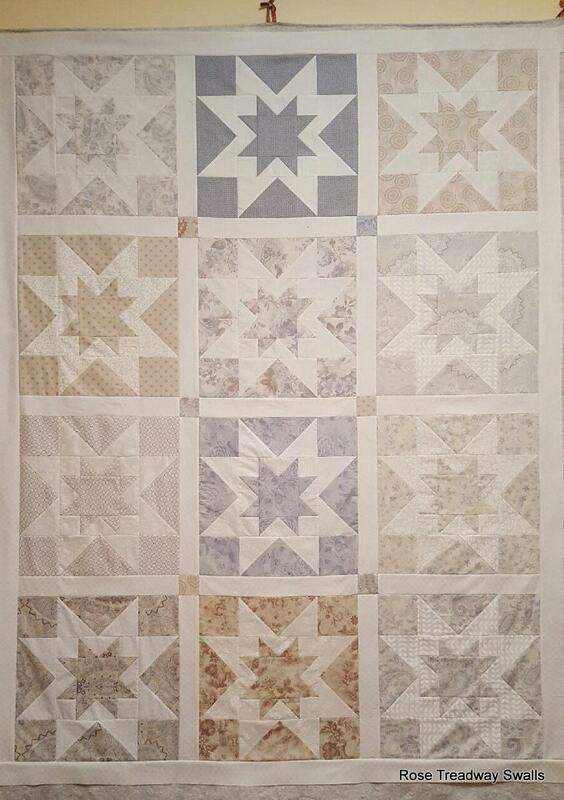 :-) Beautiful quilting. More creek time---but what fun--right? Awesome eagle shots! I remember as a young girl catching frogs and turtles...Go Lorelei! Cute turtle- I know Lorelei was tickled to hang on to it. Awesome capture of the eagle. I keep hoping to spy one, but so far haven't. Have a great weekend! Awesome shots of the Eagle. What a cute turtle.